TransylvanianDutch: Can you top this? 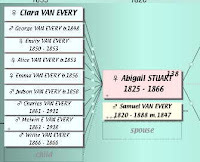 Can't top the 22 children but can top the confusion factor... my 2nd great grandfather, William Alexander, had 9 children by his first two wives. His second wife had 2 children from her first marriage. 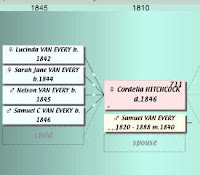 At the age of 53, William married his third wife (my 2nd great grandmother), Rachel Van Curen Hover, and had 4 more children. 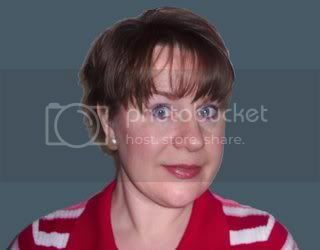 She had 6 children by her first husband. That makes a total of 21 children/step-children in the Alexander family although they didn't all live in the same house at the same time. The first child was born in 1841 and the last one in 1868. I can't top 22 either - the best I can find is 17 by randy old Zachariah Hildreth. 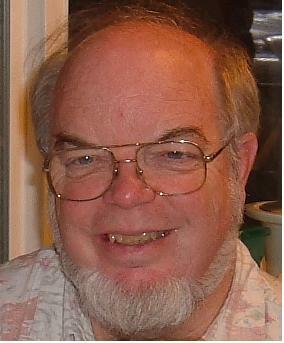 See my post "My most prolific ancestor" on Genea-Musings. You have a long way to go, young man, to top Mulai Ismail who had over 800 children. Heck, 22 is easy for a guy. My 5th-great-grandmother Sally (Morrill) Coolidge had 20 children, and then lived to be at least 103 years old. (So says the 1870 census. I haven't found a record of her death, so in theory she could still be living.) And she didn't have her first kid until she was 26! I guess my ancestors weren't all that prolific. 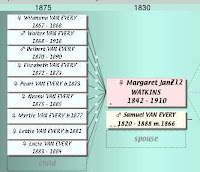 The best I can come up with is 15 children born to one couple - John Wheeler 1695-1747 and Mary Hapgood 1694-1759. I descend from their oldest son, Cyrus, who was born one month after the marriage. Do I get special scandal points? A 2nd cousin 4x removed, John Pack had 9 wives and by 6 of the wives he had 47 children between 1834 & 1870. My great-great-great grandfather John Stone (1738-1814) of New Jersey had a known total of 25 children. His first wife, Mary (Walker) Stone, died in 1780 in childbirth with her 14th child, per a mention in John Hunt's diary, published in the Pennsylvania Genealogy and Historical magazine. He then married my great-great-grandmother, Hannah (I still don't know her maiden name), who had 11 known children, all of whom survived. I am well aware that a man with several wives simultaneously can rack the numbers up quite successfully. And even without polygamy, if they are known to wander a bit, but really that's the same thing, in my eyes, if not the Lord's. But with serial monogamy, I think 22 is quite impressive. I figured there would be some who could top it, or in some way have fun with it, or I wouldn't have started the meme. A meme that ends with the first post is boring. Yes, Apple, I think you get scandal points -- especially in that era. Today, not so much. I posted my response to your meme here. Looks like Chris's Sally Morrill Coolidge beat out my Abigail Ford Strong! Two of my 3gg fathers can beat most claims. 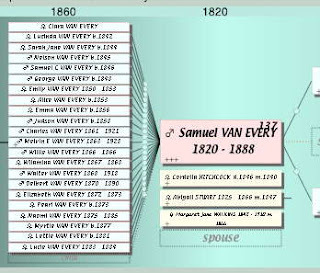 Samuel Smith had 51 biological children with his five wives, and Benjamin Thomas Trotter Mitchell had 48 biological children with his seven wives. Yes, both men were Mormon polygamists in the 1800's.